One of the major issues that have emerged in the global politics since the early 2000 is the issue of religious terrorism. The end of the Cold War, rather than end wars, conflicts and destabilization, has further opened a new ‘vista’ of crises and strife globally. Third world countries have become a major victim of this New World Disorder. While religion-oriented terrorism has been in existence prior to the early 2000; the September 11, 2001 terror attacks in the United States (US) signaled a new phase to the rise of religious terrorism. The US ruling class alongside its European allies saw the terror attack as opportunity to remodel the global politics and political economics in its contrived project of US-led capitalist hegemony. The War on Terror, started by George Bush (Jr.), saw not just destruction of Afghanistan, Iraq and partly Pakistan, but has also led to more destabilization of not just Middle East and Africa but the whole world. The destabilization of the world through the War on Terror has, rather than end terrorism, aggravated it. More than ever before, state terrorism has also accentuated. The current rise of Islamic State (IS), after a seeming decimation of Osama bin Ladin’s Al Qaeda, has again shown that terrorism itself is propped up and sustained by global capitalist politics, and will continue to exist as long as the current capitalist hegemonic system continue to rule. Western imperialism, in an attempt to derail the revolutions that started in the Middle East and North Africa in 2010, and adapt it towards global capitalist interests, sponsored many obscure forces otherwise called Opposition against Barshar Al Assad regime in Syria. Syria was turned into the theater of imperialist politics, with various hawks in US, Europe, Saudi, Russia, etc. turning Syria into their laboratory of geopolitics. The result is over 250, 000 dead, about a quarter population displaced, social and economic destruction, and arming and germination of ultra-violent Islamic State (which was a creation US War in Iraq) and its clones like Ansaru. The so-called IS has earlier been created in Iraq, no thanks to US War in Iraq that saw the destruction of the country’s political and social fabrics. In Libya, the destabilization of the country by western imperialism, and the murder of Moamar Gaddafi, in the wake Libyan revolution, opened up fissures in not only Libya but also throughout Africa, while also leading to disintegration of Libya. US became a victim of her action with the killing of its diplomatic staff about three years ago. The rise of Boko Haram in Nigeria cannot be explained outside of the global political economy and, the political history of Nigeria. Since 2009, Boko has become a feature in Nigeria’s politics and policy formulation. In 2015, Boko Haram became a major factor in electoral debates and politics. 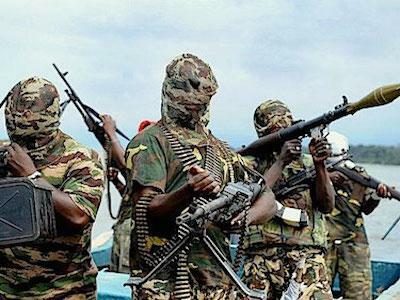 Since its reemergence in 2010, more than 17, 000 people have reportedly died due to Boko Haram insurgency; more than 1.5 million people have been displaced while several billion-dollar worth of properties and state funds have been wasted in defeating this terror group. But these kinds of losses are not new to Nigeria. According to International Crisis Group (ICG), between 1999 and 2002, over 8, 000 lives were lost to sectarian and religious related conflicts, while over 14, 000 lives were lost to communal and ethno-religious conflicts in six years from 1999. All this have a common link: the colonial and neo-colonial nature of Nigerian polity. The defunct Jonathan government, while it might not have started it, allowed the Boko Haram crisis to fester and linger through its actions and inactions, engineered by pervasive corruption in government affairs. This meant that Boko Haram crisis became a pot of soup for elements in government. The recent revelations from the new Muhammadu Buhari-led federal government about how over $2.1 billion and over N600 billion (that is together more than trillion naira or one fifth of 2015 budget) were looted from the public purse under the guise of fighting Boko haram or defence budget, clearly underscores the point we have contually raised about the primitive character of Nigeria’s capitalist political class. Meanwhile, several lives of soldiers were wasted while tens of rank-and-file soldiers who refused to be drafted to war without arms and ammunitions were court-marshaled and are now in jail. When it became clear that Boko Haram would be a major factor in the 2015 general election, the same Jonathan government that was lackadaisical towards the menace, stepped up action on the terrorists within a month to the elections. This led to recovery of some communities, held by Boko Haram for its Islamic Caliphate State. This means that the Boko Haram menace was allowed either directly or otherwise to fester for so long through actions and inactions of government, ostensibly to draw out money from public purse to serve private interests of those in power. The kidnap of over 200 school girls in Chibok in Borno State saw global outrage against the sect and the Jonathan government which handled the issue shoddily. Western imperialist governments were falling over each other to intervene. However, these interventions did not show any sign of altruism. Aside the fact that the same western imperialist governments contributed towards the germination of terrorism worldwide, the reality is that no serious interests were shown towards eradication of Boko Haram by western imperialist governments prior to this time, despite the fact that the terror gang was killing hundreds not only in Nigeria, but other neighbouring West African countries. On the contrary, you have France paying million-dollar ransome to Boko Haram, ostensibly through the Cameroonian government, in order to free some captive French citizens. Even if western government showed interests in fighting Boko Haram, it will end up turning the country to an outpost of imperialism, and theater of terrorist campaign, as the cases of Iraq, Afghanistan, etc. have shown. However, the Buhari government that took over from Jonathan since June 2015 in an important election that saw the victory of the then opposition APC party over then ruling PDP party, has not shown any serious sign of being different in terms of its fundamental approach to the Boko Haram menace. While some minimal actions such as changing the leadership of the military command, exposing the massive graft in the defence sector under Jonathan and shifting the military command centre to Borno State have been taken, there has not been any fundamental policy direction to fighting Boko haram. It is the same ‘military might’ approach of the Jonathan government that has been employed. Even the minimal effort whereby locals were mobilized through the Civilian JTF (a vigilante group in communities that fought Boko Haram) has not been sustained; in fact it seems to have died a natural death. Also, the idea of relying on imperialist forces such as US has been renewed by Buhari government. The first visit of Buhari after inauguration was to US to seek support for its war against Boko haram. The president has also visited other West African countries such as Chad, Cameroun and Niger, in order to build a Lake Chad regional effort against Boko Haram. Aside the fact that this is a repudiation of Buhari’s campaign point that Nigeria does not need any collaboration to fight Boko Haram; this effort in itself without addressing the fundamental social, political, economic and military factors underlining the rise and sustenance of terror group like Boko Haram, will come to naught. Nothing exemplifies this than the fact that in the first five months of Buhari’s government, more than 1, 600 lives have against been lost to Boko haram insurgency, while regular attacks, including suicide bombings, planted bombings, attack on communities are still rampant. Reflecting the government’s poor understanding of the causes and stage of Boko Haram, Buhari, who seems to be fetish about military capacity, gave the military command, three months to end Boko Haram. While the three months has lapsed, Boko Haram, which has pledged allegiance to and secured the support of IS, is still carrying out attacks on communities in the north. Of course the Buhari government claimed, in an attempt to justify its December 2015 deadline to end Boko Haram, to have decimated the group. However, this clearly underlines the neo-colonial character of the government. The reality on ground is that the government is underreporting the Boko Haram attacks, while showcasing the ‘military’ victory over the group. This may help government to boost its rating and image, but the reality is that such approach tends to undermine the very campaign to end Boko Haram terrorism. The capacity of Boko Haram is poorly understood by the public, which can be deceptive to the public and the armed forces. For instance, the following day that Buhari’s Information Minister, Lai Muhammed claimed that Boko Haram has been decimated, scores were killed in violent suicide bombings in Borno and Adamawa States. Also, in a December, 2015 documentary on Boko haram on Doha-based Al Jazeera network, it was glaring that the Boko Haram group is still potent, as the army could not go far into the Sambisa forest where the group is domiciled. In fact, the armed military men had to hurriedly leave the forest when they sensed impending movement of Boko Haram fighters. Therefore, it is safe to conclude that the Buhari government, just like the previous government may be using Boko Haram issue as political and propaganda tool to boost the government’s popularity. But this cannot go far. All this shows the reality that the ruling capitalist class in Nigeria, of all hues and coloration are not prepared and are not cut out for undertaking needed radical political and economic programmes to end the basis of ultra-rightwing and violent tendencies current represented by Boko Haram. Even the very least challenging task of organizing a Sovereign National Conference to discuss Nigeria’s nationality and political problems is too herculean for ruling class in Nigeria. While Jonathan, at the twilight of his regime, organized a sham called national conference, the reality is that it was just an attempt to shore up his support base for electoral purposes. Even the least important of the conference recommendations were not implemented by Jonathan, neither were the recommendations subjected to popular referendum, as most of the members of the conference were undemocratically selected. In fact, the conference itself was more of jamboree as it reflected mere elite in-fighting and did not represent the vast majority of the working and poor people of Nigeria, who have become and are victims of poor governance. At the end, over seven billion naira was wasted on this jamboree. As stated earlier, Boko Haram, while it may be one of the wildest, is just a part of litany of ethno-religious crises that have defined Nigeria since its independence, and which have been accentuated since the reemergence of civil rule in 1999. Even if the military is able to curtail it for now, a worse and more terrible form of ethno-religious and/or religious crises will emerge sooner than later, inasmuch as the underlining factors are not addressed. Already, new fissures on Nigeria’s political landscape are already showing with the Biafra protests and crisis, mass killing of hundreds of members of Ibrahim El Zakzakky-led Shiite group and the rising unrest in the Niger Delta. On the economic front, the country seems to be heading for the cliff-edge as oil wealth; the basis of government’s revenue has shrunk due to fall in crude oil price in the international market. This should have provided the basis for reengineering Nigerian economy on a radical direction. Unfortunately, the Buhari government is stuck to the old, worn-out but ruinous neo-colonial capitalist arrangement that has put Nigeria in its current mess. This is reflected in the 2016 budget that saw increased allocation to debt repayment and contract-based projects (that benefit the rich). As history has severally shown, economic dislocation for the majority is a potent factor in the germination of social crises including ethno-religious conflagration. It is thus not accidental that most of tens of thousands of Biafran supporters in the South-eastern Nigeria, who have participated in the major protests for separate Biafra, are young people, who have been made idle for years. Moreover, the bourgeois political class still utilizes the ethnic and regional card to win support. Jonathan got his biggest block votes from the South-east and South-south, playing the ethnic card, while Buhari’s major support came from the North-west and North-east, with religion partly playing a role. In 2009, in an article in the wake of the massive crackdown on Muhammed Yussuf-led Boko Haram, we warned that, on the basis of the manner the group was suppressed, Nigeria might be sowing the seed of more dangerous ethno-religious crises. This was borne out just a year after when the Shekau-led Boko Haram emerged. It was the contention of the writer that the working class movement would have to step in and act decisively if terrorism is to be defeated. This position is still very relevant to the discourse on terrorism and ethno-religious crisis in Nigeria today. This is because there is no way we can talk about addressing the terrorism and ethno-religious divisions and crises without addressing the economic foundation and political configuration of Nigeria. Without the economy and the huge resources of the country being central and democratically owned by the mass of people themselves through public ownership, the few rich who are holding on to the nation’s patrimony will continue to utilize divisive tool of ethnicity and religious in order to access political power, which is the lever for economic control. Only when the working people, youth and the poor, through their organizations come to the arena of political struggle, not as spectators and passive participants but active members of the movement to change the political and economic landscape of the country, will Nigeria start to build a country free of poverty, want, misery and strife. This essay is an edited version of the Preface to Kola Ibrahim’s latest book, Boko Haram in Nigeria: Historical and Political Economic Exploration, published in November, 2015. This book traces the rise of religious fundamentalism and ethno-religious crisis to the economic, political and neo-colonial background of Nigeria. The book also proffered a working class and socialist solutions to ending Boko haram menace. It is an important material for activists, trade unionists, students, researchers, academics, journalists and public intellectuals, searching for an alternative narrative on the rise of ethno-religious forces and tendencies in Nigeria. Terrorism involves the use of force and violence to bring about enforcement of an ideology, ideal, philosophy and political change on people, community, group or nation. Therefore, terrorism can be carried out by individual, group, sects, tribe, a government or nation (against another nation). Religious terrorism involves the use of terror act, violence and fear to enforce religious doctrine and religious political change. The then opposition party, APC, itself comprised mostly former members of the then ruling PDP since 1999, who are opposed to the Goodluck Jonathan running for a second term, or have seen their electoral fortune diminished in the PDP. Many of them became elected into parliaments, state government houses, while others became ministers. Therefore the term opposition party should be used in relative term, more so that the party and its leading politicians share the same policies, politics, programmes and ideology with the PDP.